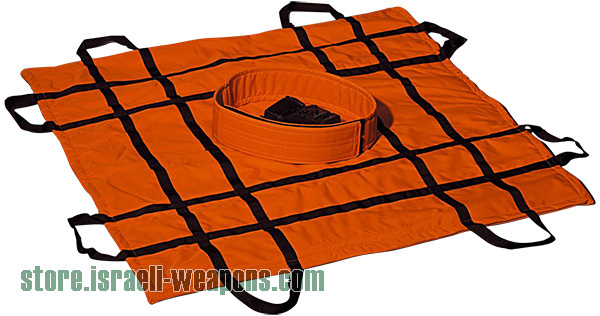 Ballistic bulletproof blanket covers are a great added protection for when you are in dangerous places where there is a lot of gun fire. The blanket cover has been tested for a level III-A rating. The bulletproof blanket cover can withstand the impact from 3A protection. This blanket cover offers its user an extra layer of protection. The blanket cover will help to reduce the damage from incoming munitions and fragmentation from explosive materials. The ballistic bulletproof blanket cover is crafted from a high-strength aramid ballistic fabric. The layers of aramid fabric help protect in many different fields and arenas. The blanket has a water resilient nylon layer which is also abrasion resistant. Whether you are hunting with the buddies or fighting for your countries freedom, the ballistic bulletproof blanket cover III-A is a great addition to your gear. In addition to the protection offered by the ballistic bulletproof blanket cover when you are on the ground, there are handles added to help for use in covering windows and doorways against attack as well. The ballistic bulletproof blanket cover has easy to use, fast deployable backpack storage. The ballistic bulletproof blanket cover comes in a variety of colors to suit your unique needs. A few of the colors offered include: Safety orange for when you are out hunting; Camouflage, light brown and black for the battle field or drill exercises; and a variety of other potential colors. help to carry your hunting game back to your vehicle. No matter what your requirements are when it comes to safety, the addition of the ballistic bulletproof blanket cover will add that extra sense of security. Tested and approved for use with a variety of weapons, fragmentation and munitions debris. Can be used in wet and dry terrains and can be fitted for flame resistant protection as well.